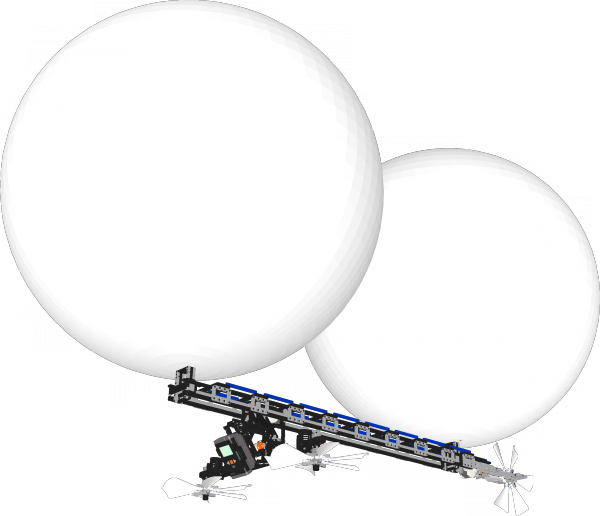 The model is a remote-controlled LEGO® blimp, which uses helium to become almost weightless. This results in the ability to fly using the LEGO® propellers and engines. The airship is controlled using a joystick (A designed inspired by Philippe Hurbains NXT joystick). The blimp communicates with the joystick using the build in Bluetooth connection. More info coming soon!